Summer vacation is getting closer by the day, and chances are your children can barely contain the excitement of having a few months away from school. However, you can still keep your kids' minds engaged by encouraging them to continue reading books over their break, whether the school has a required summer reading list or not. Here are some tips on how to get started. 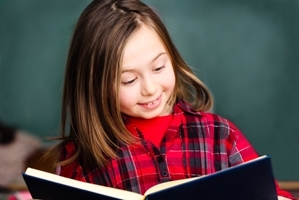 Reading is meant to be fun, so help your children locate books that speak to their interests. While they may not be reading high literature, showing kids that books can be enjoyable as well as informative can set them up to be lifelong, avid readers. Looking into popular children's series can also make reading a more social activity, allowing kids to talk about the stories with friends. Reading can be done anywhere at any time, but creating a comfortable reading area in your home can make the overall experience a lot more fun. Whether it's a shady hammock in the backyard or a wicker rocking chair on the back porch, incorporating the outdoors can emphasize the summer in summer reading. Leading by example is always a great strategy as a dad, so consider grabbing a book of your own and popping down next to your children on a warm summer afternoon. Reading as a family can dispel the notion that sitting down with a book is a boring and lonely exercise, and you can all pause to tell each other about exciting developments in your respective stories.